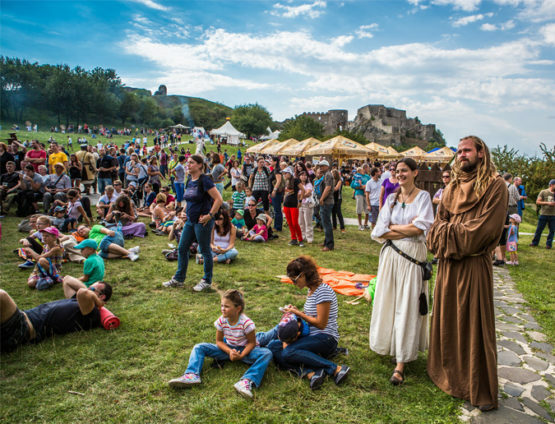 Let us invite you to the mysterious ruins of Devín Castle! Tickle your taste buds with delightful redcurrant wine, feel the spiritual power of the Mariánka pilgrimage place and taste traditional Slovak delicacies. 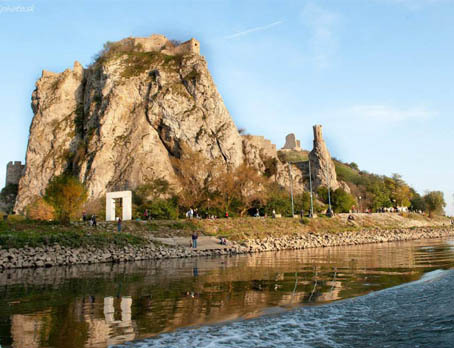 DEVIN CASTLE – On the confluence of the Danube and Morava rivers, where the Austrian and Slovak borders meet, you can see the ruins of initially gothic castle Devin. 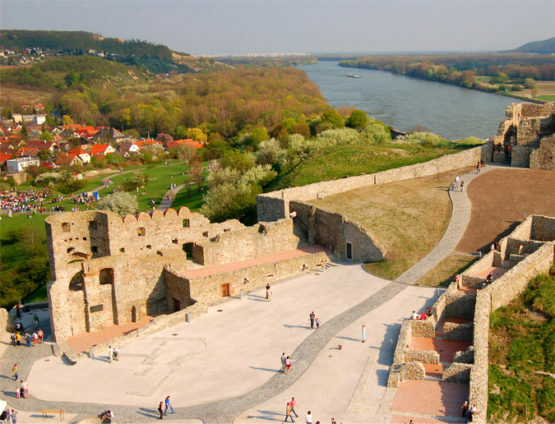 The castle witnessed the glory and fall of Great Moravia, the first Slavonic state formation. The history of the castle starts from the age of the Celts and ends with the arrival of Napoleon’s army, which blew the castle up. For photography lovers this is place that simply must be added to your collection. 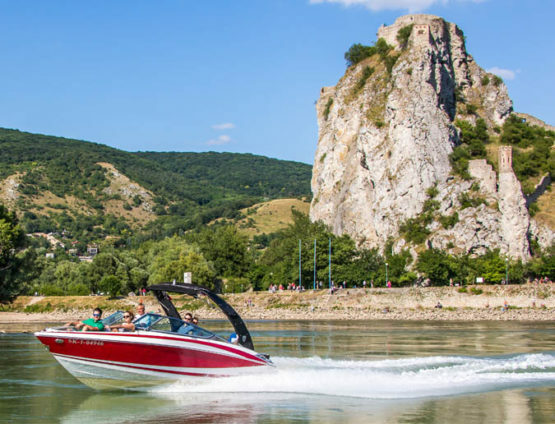 Would you prefer to travel in style and go by speedboats? No problem. Just ask for more details. DEVIN REDCURRANT WINE TASTING – The essential part of the Devin region is traditional currant wine, made from red or black currants. You are going to love its sweet and gently bitter taste. PICTURESQUE VILLAGE MARIÁNKA – It is the oldest pilgrimage place on the area of the former Kingdom of Hungary. 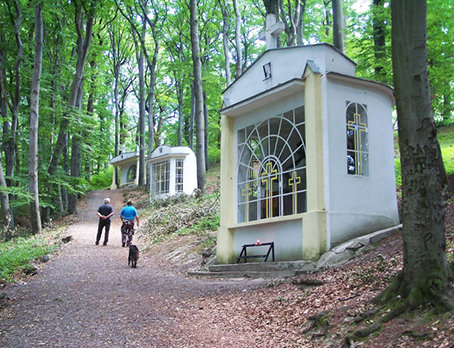 In addition to a variety of rare religious buildings and relics, this is the place where the ‘’magic’’ spring with alleged healing power is located. A walk through the Calvary will certainly amaze you with the incomparable spiritual power of this place. SLOVAK DELICACIES – Feeling hungry? Now is the time to taste one of our true Slovak delicacies. 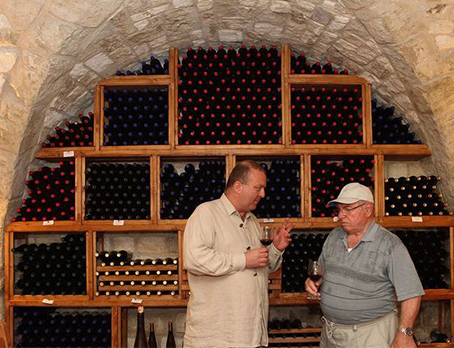 Tell us, and we will lead you to the place where they taste the best.